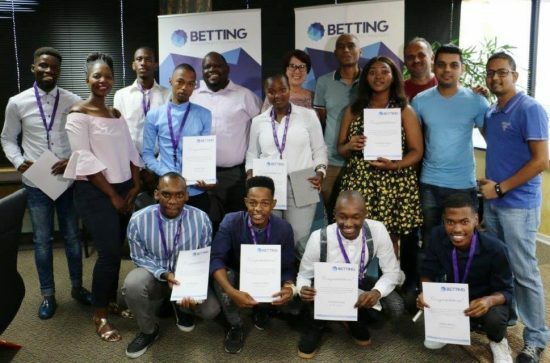 The Department of Information and Communication Technology (ICT has established a partnership with Hollywood Bets, who have since awarded seven MUT students with bursaries. The bursary will cover costs for the Advanced Diploma in Information Technology next year. Dr Vikash Jugoo, the Head of ICT, said the opportunity will open doors for students and introduce to the various fields they can branch into with an ICT qualification. “The Department of ICT is proud to have established a partnership with Hollywood Bets and we are thankful to them for awarding our students the opportunity to further their study,” said Dr Jugoo. Wonder Mkhize, one of the MUT students who received the bursary, said he was grateful for the opportunity to further his studies. “The bursary is going to make it easier for me to focus on my studies. Without it I would have had to work so as to fund my studies,” said Wonder. Wonder passed his grade 12 at Amandlethu Secondary School in Nanda, northwest of Durban. Over and above the financial assistance the students have been given, they now have a job opportunity waiting for them upon completing their studies. As part of the agreement with Hollywood Bets, they have to work at the company for a year after completing their studies. MUT’s Department of Information Technology and Networks (IT&N) is staffed with a large number of MUT ICT graduates who continue to contribute to IT-related development at the University.